Tomorrow, millions of Australians after having schlepped out earlier in the day to cast their vote, will slump down into couches across the country to watch the dedicated election programming littered across the major networks. The team at upstart, threw together some ideas to hopefully make the night’s viewing slightly more interactive. 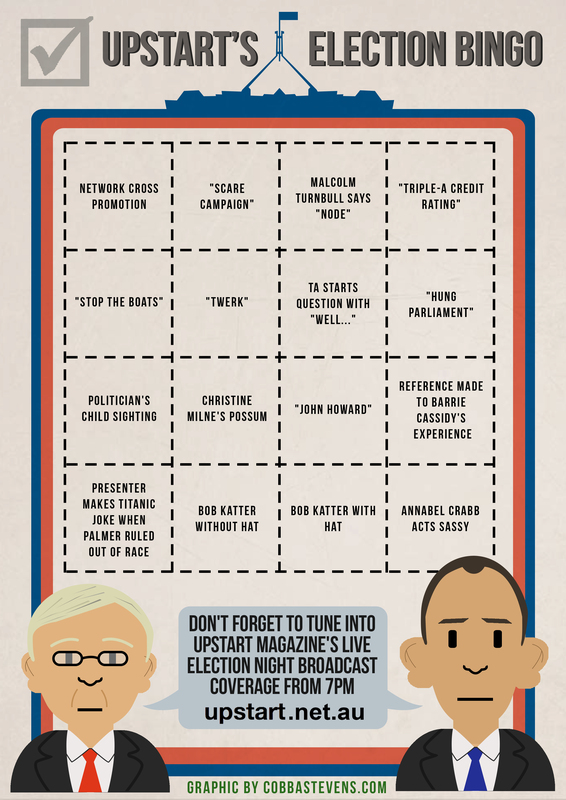 With that in mind, here is upstart’s election bingo! Print it out; share with your friends, and remember to always bingo responsibly.